CATHOLIC GIFT SHOP LTD - Lourdes Holy Water in a Round Colour Bottle. 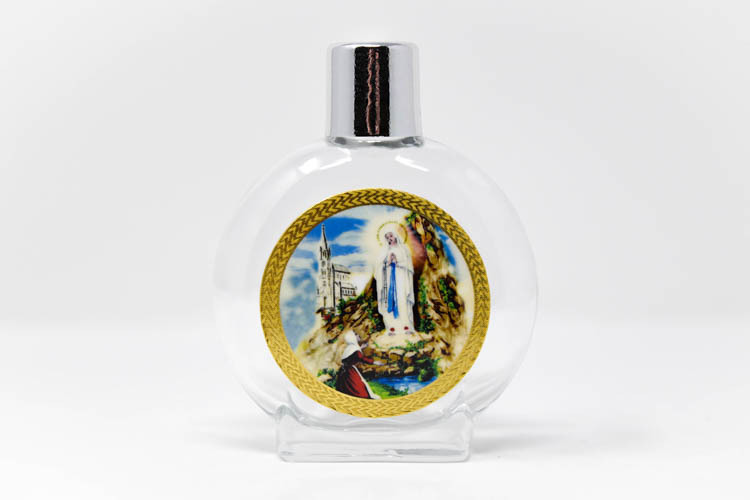 Lourdes Holy Water in a Round Colour Bottle. Lourdes water in a round bottle it has a card plaque on the front of the bottle containing a picture of St Bernadette kneeling to the Virgin Mary.